For those of you who ask when I will be done with my room, I'm posting about that thing that slows me down, my wonderful LIFE! Helping the kids with homework, making dinner, sleep overs, the list goes on and on! But here are some highlights of the funner stuff!! Jaysen went to the Salt Lake Comic Con. He was so excited. He went to DI the night before and put his costume together!! 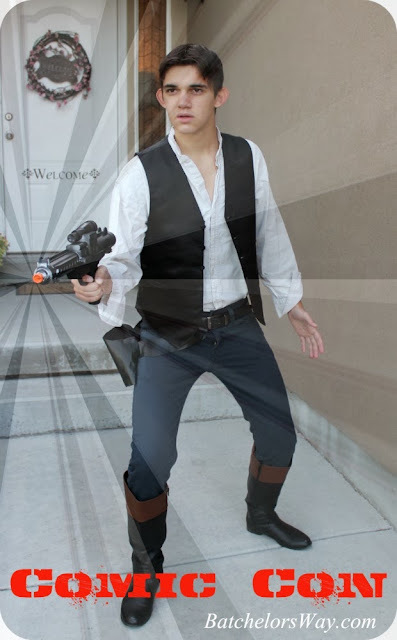 Look pretty dang good Han Solo!!! 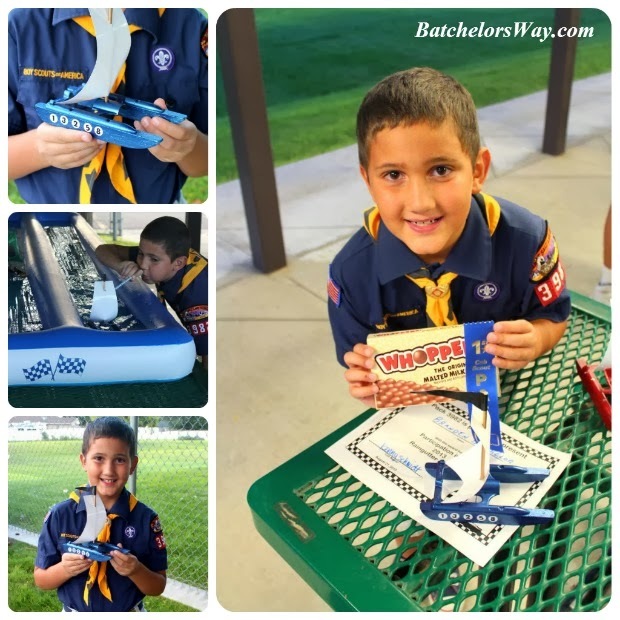 Next up Branden had his Rain Gutter Regatta! 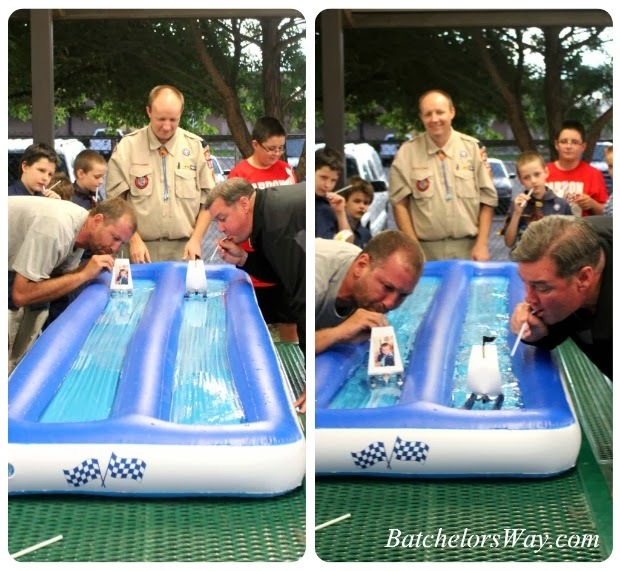 If you don't know what that is, it's when Cub Scouts make small boats powered by their own breath and race them. He had so much fun making his boat. He sanded and did everything just so. The kit came with number stickers, and Branden had to put all 5 on! Love it!!! Well that must of been his lucky number cause he won every race he had and took first place!! After the boy's raced they let the Dad's race their boys boats! Dad may have been doing a small happy dance in his head when he too won!!! Last news, would be our new car!! Yes, we bought a new car for Jaysen to use. He can transport himself and his siblings to and from school!! I love the look on his face when he saw the new car he would be driving!! Did I forget to mention it's a beater car? Yeah, it looks awful but runs good and cost very little! On the brighter side we told him he can paint it or decorate it however he wants. I have to admit, I look forward to that, with his talents!!! Well, I guess I'll get back to my LIFE!! Love the Han Solo costume! ...and the Beater Car. LOL! Love it! So glad yall him a beater! Every kid should have a beater and not some fancy schmancy sports car. It taught me to save my money to get a better car and made me REALLY appreciate a decent ride when I finally had one! HA! Not that you need my validation....I just think you and the Mr. rock! One of the many reasons I love you.....because you have your priorities straight. 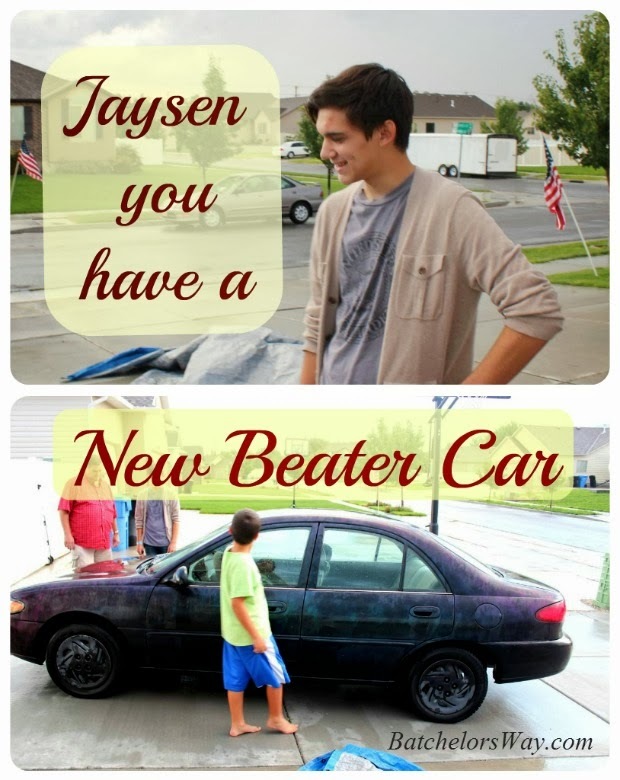 "beater car" - sounds like a Dave Ramsey term! When we bought my youngest daughter HER first car, she saw it and cried! I felt about 2 inches tall....but she wasn't crying because of the TYPE of car or because of what it looked like. So I didn't understand! It was because it was a stick-shift! Took her 2 weeks to learn to drive it. Now I wish I'd have bought my oldest daughter a stick shift. She's 31 now & still can't drive a stick shift!